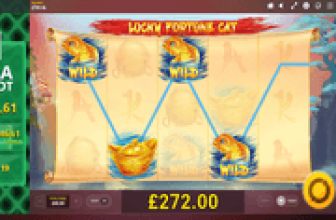 Legend of the Nile online slot by Betsoft is an Eqyptian-themed icon-matching game that awards pays on Cluster Wins. Four or more alike symbols, clustered next to each other in any spot within the 5 x 6 grid, award a corresponding pay. Winning symbols disappear and then create spaces. After which, existing and incoming symbols cascade and take positions in those spaces. The new arrangements may then result to additional Cluster Wins, attributable to a single spin. The Ra Symbol, represented by the deity with green falcon head crown, is the most powerful element. Every Ra icon in view powers up the Progress Bar located on the left side of the slot screen. In order to set off the Ra Bonus Feature, the Progress Bar must fill with Ra icons uninterruptedly. Working in conjunction with Ra totems, are images of the Anubis and Isis deities. Those two (2) images also set off a bonus feature once their respective Power Meter has been fully charged. The Power Bar has three (3) main components: the Ra Power Meter, the Anubis Power Meter and the isis Power Meter. The Ra Power Meter relates to the Ra icon found at the bottom of the Bar, and is connected to the Green Power Meter. Every Ra Symbol emerging as outcome of a spin fills up each Green Meter segment. If a single spin does not result to a series of disappearing and cascading actions, the Green Power Meter resets to zero level. Yet if Ra Symbols come in succession and reach an accumulation of 8 icons, 8 Ra Free-Spins will be awarded. If during the Free Round, additional Ra icons continue to appear, the Ra Power Meter will likewise keep progressing. Starting with the 8 icons already accounted, increasing that number to 9, 12, and 15 uninterruptedly, activates 2, 2, and 3 additional free-spins accordingly. The Anubis Power Meter is the Pharaoh image at the center of the Progress Bar line-up of icons. The broken lines encircling the Anubis image serves as Power Meter for this particular symbol. Every Anubis icon constituting a Cluster Win charges up the Anubis Power Meter. Unlike Ra Symbols that must occur continuously, Anubis symbols can charge up its corresponding meter, even in-between spins of a playing session. Once the Anubis Power Meter has been fully charged, 10 Anubis Free-Spins will launch. The isis Symbol is the topmost image presented by the Progress Bar. The Isis Power Meter works in the same manner as that of the Anubis Power indicator. Similarly, a fully charged isis Power Meter awards a set of 10 Isis Free-Spins. Special Bet Amounts – Take notice of the values being displayed by each Power Meter. They represent the Special Bet Amount that will serve as coin value multiplier to credits garnered during the related Free-Spins Bonus Round. 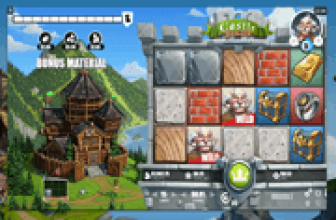 Each Free-Spins Bonus Round activated via the Progress Bar, possesses distinct attributes. Every bonus round also upgrades the payouts of the featured Pharaoh Icon. The Ra Free-Spins Bonus Game allows players to continue amassing additional Ra symbols at no extra costs. During the round, and if the amassed Ra Symbols reach the 5th Power Meter Level, a Bonus Reward equal to 400x the Total Bet will be awarded. In the event the RA Symbols fill the Power Meter up to the 6th and final level, players achieving such a feat stand to receive the Progressive Jackpot. The great news is that even if the base game advances to the Anubis or Isis Free-Spins Round, the continuous arrival of Ra Symbols still count as Ra Power Meter charges. That being the case, the Ra Free-Spins Bonus Round may set off during the Anubis or Isis Free Games. The Anubis Free-Spins Bonus Game – upgrades the payouts awarded on Annubis Cluster Wins. However, winning Anubis Symbols in this bonus segment will not contribute to its Power Meter progression. The Isis icons on the other hand, will not emerge as outcomes during Anubis Free Games. The isis Free-Spins Bonus Game – applies a parallel payout-upgrade for winning isis Symbols. Just like the Anubis icons, winning isis Symbols will not qualify as increments to the Isis Power Meter. Similarly, Anubis totems will not come into view during the Isis Free Games. Legend of the Nile online slot allows players to experience the thrills of playing a round of a seemingly unending free-spins. The game has a Power Bar feature that collects Ra, Anubis and isis icons in order to fill up related Free-Spins Power Meters. The great treat is that the Ra Power Meter allows continuous progression even during Anubis or Isis Free Games; giving players a chance to fill the Ra Power Meter uninterruptedly. 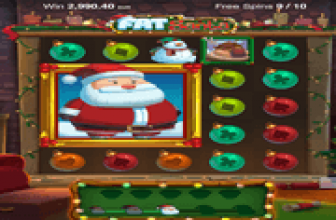 After all, the ultimate goal is to fill that particular meter up to the highest Power Bar Level, as doing so will trigger the awarding of the game's Progressive Jackpot.